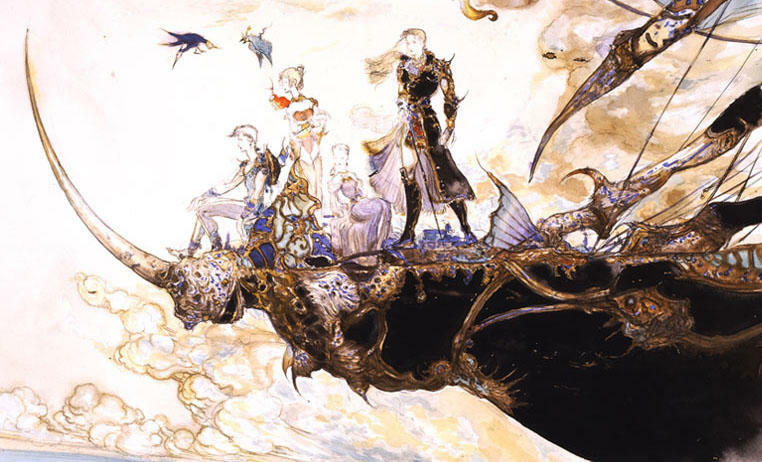 If the recent Final Fantasy games have left you feeling detached from the series' roots, then there has never been a better time to take a stroll down memory lane. Square Enix wants those nostalgia dollars, and the iOS market is the best place to do it. Final Fantasy IV has found its way to yet another platform, continuing its streak of being the most retooled and reworked game in the series. Rather than porting the SNES classic, though, Square Enix will be bringing out the DS remake, a blistering and brutal 3D retelling of the classic story that manages to trump the original's difficulty in every possible way. If your ready for lots of grinding, you can't do much better. It's available now for $15.99, making it one of the cheaper Square Enix games on the App Store. In a surprising move, Final Fantasy V will also be available down the road, leading the charge for what Square Enix has called "The Final Fantasy Revolution." Why choose a forgotten classic to lead your revolution, I have no idea, but it's nice to see Final Fantasy V make an appearance on another platform. After Square failed to localize it on the SNES, it has slowly crept into fans' mindsets as one of the most important in establishing the series' lore thanks to its fun job system. No pricing has been announced for Final Fantasy V yet, but I would hope it be cheaper than the 3D remake, being just an SNES port and all. Square Enix is tight lipped about what this Final Fantasy Revolution could possibly mean, but my guess is that we'll be seeing more ports throughout 2013, giving me another excuse to buy Final Fantasy VI again.